Courtesy of Greenridge Realty (EGR), Jane (Mary) Zawacki. This property presents an incredible opportunity in EGR. Main home is in need of major renovation, or, for the right buyer, you could keep the outbuildings and rebuild. 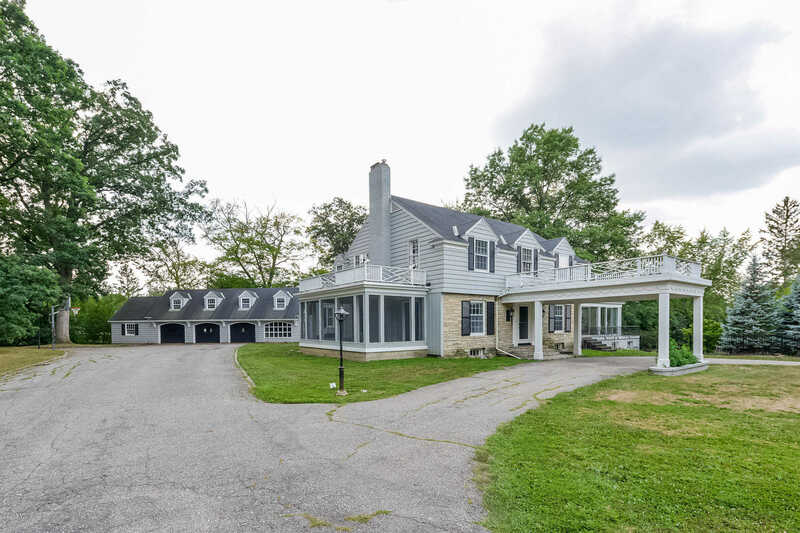 Situated on nearly 2.5 acres you’ll find a 7 BR home with 4 full & 2 half baths. In addition, there is a 3 stall, carriage house garage with an apartment above and a fourth stall that has been converted. It is currently being used as an exercise room (w/FP). There is also a gorgeous (deep) pool with fountain and a newer poolhouse with his & her changing areas, baths, FP, & kitchenette w/kegerator. Ideal for entertaining! Close in location, yet still private, this property has much to offer. A lot of interesting history & features like a bar built like a ship, a bomb shelter, charming screen porch, and a 3 -season room… Dentil moulding and parquet floors. Main level bedroom with ensuite would be an ideal guest room. Underground sprinkling around pool. Port cochere over circle drive with a 2nd driveway entrance on Manor Rd. Lot size, location and privacy along with potential 4-stall garage with mother-in-law suite above and workshop, pool and poolhouse make this spectacular lot a rare find. Directions: From Gaslight Village, take Lake Drive Southeast to home.